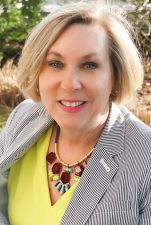 Kathleen Turner joined Langley Properties in 2017. She brings with her more than 30 years of experience supporting executive level staff and top management. Kathleen’s paralegal knowledge, ability to multi-task and excellent communication skills allow her to provide administrative support to Langley Properties’ executive staff. Kathleen attended the University of Kentucky and the National Center for Paralegal Training in Atlanta, Georgia. As a Lexington native, Kathleen’s knowledge of the Bluegrass community has fueled her passion and commitment to participate in activities to enhance the quality of life in the region. She presently serves as a board member for Central Kentucky’s Visually Impaired Pre-schoolers. Kathleen and her husband, Brent, reside in Lexington. They have a daughter and son-in-law who also reside in Lexington. In her spare time, she enjoys participating in family events, exercising, UK tailgating, reading, and life!